Mumbai : The historical romantic movie 'Bajirao Mastani', which is slated to release on 18th December, comes in headlines today, as a social activist has approached the Bombay High Court seeking stay on the release of the movie. Social activist Hemant Patil, who is the president of a city-based NGO 'Bharat Against Corruption', seeking stay on release of the movie until two of its songs 'Pinga' and 'Malhari', are not censored as these allegedly distort facts and history. 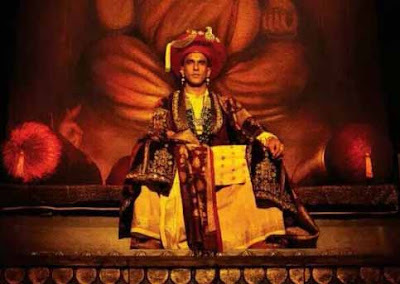 Hemant Patil petitioned the HC after a court in Pune dismissed his application seeking ban on the film's release as it allegedly distorts history relating to late king Shrimant Bajirao Peshwa and his family members. According to Patil's petition, the movie is a "false and bogus representation of historic people like Bajirao, Kashibai and Mastani". Kashibai and Mastani were wives of Bajirao. "The filmmaker has tweaked facts under the pretext of artistic licence. There are various historic evidence as well as several letters from the descendants of Peshwas which prove misrepresentation in the name of creativity," it claims. "The song Pinga is offensive to Marathi culture. It is a known fact that Kashibai was a handicap and suffering from asthma, and hence it is highly impossible that she danced with Mastani. The said song is nothing but an obscene item song," the petition said. Director Sanjay Leela Bhansali's historical romantic movie 'Bajirao Mastani', features Ranveer Singh playing the Bajirao's role. Deepika Padukone will be seen playing Bajirao’s second wife Mastani, while Priyanka Chopra will play the role of Bajirao’s first wife Kashi Bai.